Thanks to the folks at TheCryptoCrew.com we were able to get Todd Standings reaction to the Finding Bigfoot Canadian episode he starred in. As the cast of Finding Bigfoot were less than impressed with Todd's evidence, research and over all account of his experience, it seems Todd wasn't impressed with them either. We are proud to say we probably have the most comprehensive coverage of Todd Standing. Some of our most popular are: Todd Standing Jumps the Shark with Expedition 4, The Original Todd Standing "Sylvanic" Website, and Why don't Journalist Just Google Todd Standing?. Read Todd's reaction to the Finding Bigfoot below and watch what Todd considers "Good TV show" coverage of his adventures. "Well congrats to the "Finding Bigfoot' team and producers. After being on hundreds of newspaper, radio and tv interviews and shows, the finding bigfoot production is the worst I have EVER seen. Their production company is Called"Snake oil productions" for a reason. They have no intention of finding bigfoot and they couldn't possiblly be stupid enough to believe they could. They literally filme...d me in a spot they choose where cows are grazing all around. And they couldn't even sneek up on the cows! That is what the morons are hearing "in the Candian wilds" that they cannot identify. They are right when they say it is not coyotes making that sound. Its cows they are hearing. That is what happens when you go bigfoot hunting by a ranch you idiots. I could right a list of 500 reasons these people will never film a deaf three legged moose in live action. Never mind Bigfoot." 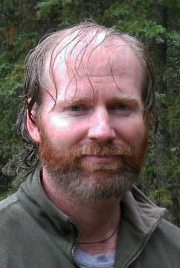 "Here is a link to a good tv show that did a real piece on my bigfoot work." Todd's such a good speller, but the least believable hoaxer ever. Wow, SOMEBODY hopped up on his high horse. This guy is obviously attacking the crew so no one questions his obvious hoax. It's sad that people try to pull this crap instead of just being serious. 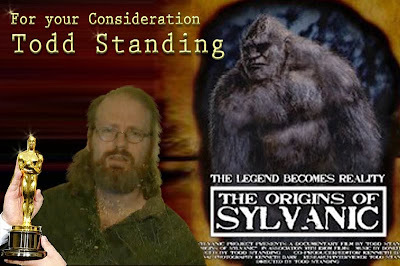 If the crew actusly did research on Mr. standing's real research history and understood the Sascuatch is not just some amimal but a being they wouldnt have treated a real Bigfoot researcher with the disrespect they did to this man. I just cannot believe Todd all you guys need to see what Cliff wrote about Todd and why he cannot be believed. Bigfoot should have bit Todd Standings testicles off. Then he would be Todd Sitting. I have to say I have respect for these researchers even if they get paid to run around the woods looking for something they will probably never find. At least they stick true to their beliefs. As for Todd's comments, why would the team ever spend any real time looking for Bigfoot. If they found him the show would no longer be called Finding Bigfoot but Found Bigfoot. That show will last a whole three episodes. Todd is nothing but a crackpot snake oil salesman, himself. Only he forgets cardinal rule #1... Remember what you sold them last week, and don't change your story from one minute to the next.